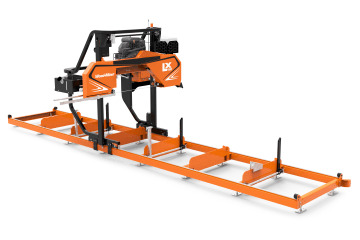 Entry-level, small sawmill with push feed, 10HP gas engine, 24” log diameter, 11' log length and production up to 160 bf/hr. 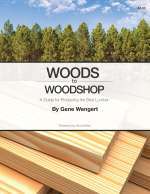 Economical saw mill with push feed, 14HP gas engine, 28” log diameter, 11’ log length and production up to 240 bf/hr. Compact saw mill with crank feed, gas/diesel/electric power, 28” log diameter, 17’ 8” log length and production up to 320 bf/hr. 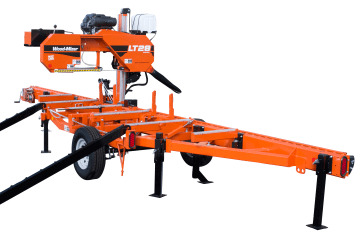 Lightweight, portable saw mill with crank feed, gas/diesel power, 28” log diameter, 17’ 8” log length and production up to 320 bf/hr. Wide capacity saw mill with crank feed, gas/diesel/electric power, 36” log diameter, 17’ 8” log length and production up to 375 bf/hr. 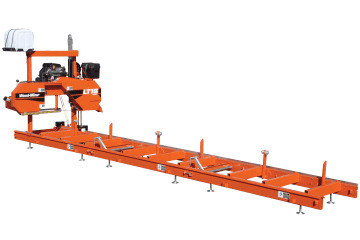 Robust twin rail sawmill with powered saw head controls, gas/diesel power, 36" log diameter, 35-1/2" max width of cut, 18' 5" log length, and optional SimpleSet Setworks & Debarker. 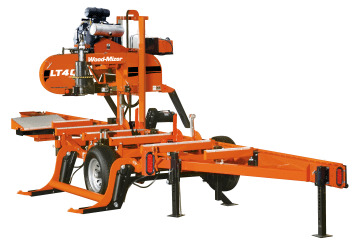 Portable saw mill with crank feed, gas/diesel power, 32” log diameter, 21’ log length and production up to 350 bf/hr. PLUS! SAVE 25% ($275) on optional power feed. 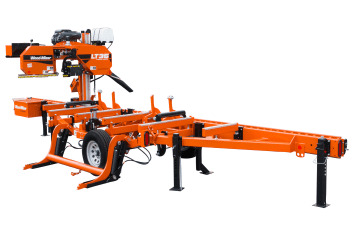 Mobile saw mill with SimpleSet electronic head controls, gas/diesel power, 32” log diameter, 21’ log length and production up to 375 bf/hr. 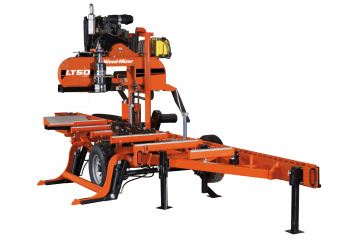 Entry-level hydraulic portable saw mill with complete hydraulic log handling, SimpleSet electronic head controls, gas/diesel power, 32” log diameter, 21’ log length, and production up to 500 bf/hr. 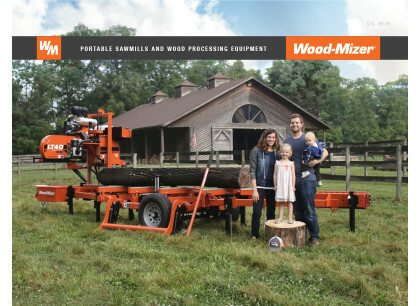 Professional portable saw mill with complete hydraulic log handling, SimpleSet electronic head controls, gas/diesel power, 36” log diameter, 21’ log length, and production up to 550 bf/hr. PLUS! SAVE 25% ($500) on optional Debarker. 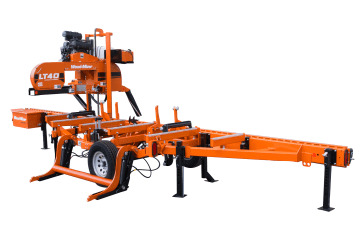 High-performance mobile saw mill with advanced hydraulic log handling, board return, Accuset® 2 electronic head controls, gas/diesel/electric power, 36” log diameter, 21’ log length, and production up to 675 bf/hr. 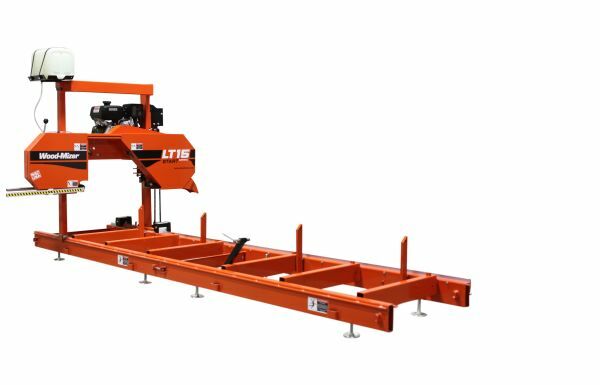 Twin-rail portable saw mill with advanced hydraulic log handling and board return, chain turner, vertical supports, precise outriggers, Accuset® 2 electronic head controls, gas power, 36” log diameter, 21’ log length, and production up to 700 bf/hr. 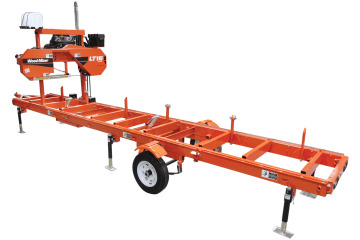 Heavy-duty portable saw mill with advanced hydraulic log handling, board return, chain turner, vertical supports, precise outriggers, Accuset® 2 electronic head controls, gas/diesel/electric power, 36” log diameter, 21’ log length, and production up to 700 bf/hr. 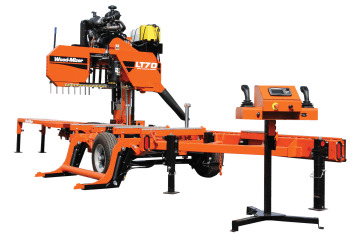 Fastest portable saw mill with deluxe engine-powered hydraulic log handling and head controls, pedestal control station, advanced board return, debarker, diesel power, 36” log diameter, 20’2” log length, and production up to 1050 bf/hr. *All prices and savings in U.S. dollars & effective 2/1/2019. Prices and specifications are subject to change without notice. NOW ONLY prices are after savings have been applied. Cannot be used in combination with any other offers or discounts. Shipping or delivery not included. 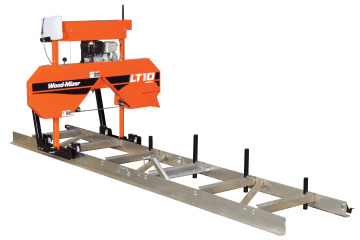 Trailer-mounted mills require delivery or pick up from Wood-Mizer location. Some assembly may be required. Offer good on new orders placed with deposit 2/1/2019 through 4/30/2019. † Estimated payments are for the sawmill only and based on no money down, 60 month terms for qualified business buyers through Direct Capital. Financing not available on LT10. Other financing options may also be available through Wood-Mizer for those not qualified for the special rates offered in this flyer. Call for assistance and terms. **Due to many variables, actual production figures will vary.